Ahh the beauty of the Android platform. Instagram was finally released this morning and already, its creators have released the first bug fixer to make it more stable on your phone. A handful of phones were seeing crashes with the camera open – those have hopefully been fixed now. Everyone enjoying their new social camera toy? 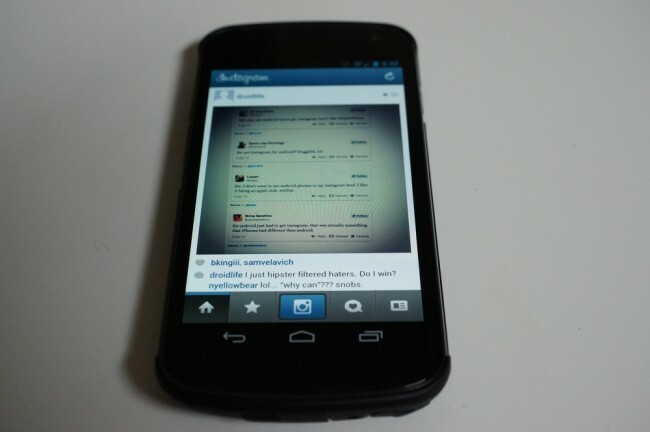 If you haven’t already, be sure to stop by our “First Android Instagram Photos” page and share. On a related note, this list of i*hone users responding to news of Instagram hitting Android is nothing short of priceless.